Kurt is the Executive Director of the Global Cool Cities Alliance (GCCA). Prior to joining GCCA, he was the Director of Research for the Energy Future Coalition and the United Nations Foundation’s Energy and Climate team. His work involved building broad and diverse coalitions of stakeholders around key clean energy and climate change policies at the local, state, and federal level with a particular emphasis on dramatically scaling up the deployment of energy efficiency in existing residential and commercial buildings. Kurt received his Masters degree with a focus on Energy Policy and Economics in 2007 from the Johns Hopkins School of Advanced International Studies (SAIS). He has also worked in management consulting and corporate finance for several multinational firms including Royal Ahold, MCI Worldcom, and Federal Realty Investment Trust. He is a graduate of Wake Forest University. 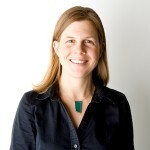 Ms. Dickie has helped lead the Global Cool Cities Alliance since inception and currently serves as its Deputy Director. Ms. Dickie is also a Senior Associate at California Environmental Associates, a San Francisco based consulting firm working at the intersection of environmental science, policy, and markets. Ms. Dickie works for CEA’s philanthropic clients, helping environmental foundations and non-profits with strategic planning and business plan development. Prior to joining CEA, Ms. Dickie helped build Investors’ Circle, a national network of angel and institutional venture investors who use private capital to promote the transition to a sustainable economy by funding early-stage companies with a social and/or environmental mission. Amy has also worked with several mission-driven start-up companies and at the Bay Area Equity Fund, a double bottom line venture capital fund. Amy has a bachelor’s degree from Stanford University and an MBA from the Haas School of Business at UC Berkeley, where she was a co-founder of the Berkeley Energy and Resources Collaborative. Mr. Shah serves as Technical Advisor to GCCA, and is currently President of WinBuild Inc, a private consulting firm. He has a B.S. and an M.S. in Mechanical Engineering and over 20 years of experience in building energy efficiency research and technology advancement. He is a CEM-Certified Energy Manager, CBEP- Certified Business Energy Professional, CDSM – Certified Demand-Side Management Professional and National Fenestration Rating Council Certified simulator. He is currently a Board of Director of Cool Roof Rating Council and National Fenestration Rating Council. Through his company WinBuild and as a US-DOE consultant, he has worked internationally to develop and establish energy efficiency ratings programs and policies. He specializes in providing simulation trainings and for establishment of testing laboratory for building envelope, essential for implementation of Building codes and policies. He interacts internationally with industry, decision makers, technical experts, government officials and researchers, on work related to building envelope research, policies, technical services implementation and codes and standards development that creates demand for advanced emerging technologies. Dr. Kalkstein serves as a Technical Adviser to GCCA, and currently serves as a Professor within the Voluntary Faculty in the Department of Public Health Sciences at the University of Miami Miller School of Medicine. Dr. Kalkstein’s career has been dedicated to evaluating the impact of climate and climate variation on several environmental parameters, including human health, air quality, insect migration, and various climate change impact issues. He shared the Nobel Peace prize in 2007 with lead authors of IPCC working groups; Dr. Kalkstein’s group dealt with climate change and extreme weather impacts on human health and well-being. He heads the University’s Synoptic Climatology Laboratory, which is dedicated to evaluating the impact of weather situations upon various environmental features, and his work has been funded by a variety of federal government agencies, as well as NGOs, utility companies, and public health agencies. He and his research group are responsible for developing heat-health warning systems, used by the National Weather Service to issue advisories and warnings for over 30 cities in the United States, as well as 30 more major urban areas around the world. GCCA worked with a top team of researchers to study how cool surfaces and vegetation save lives during extreme heat events in Baltimore, Los Angeles, New York City, and Washington.